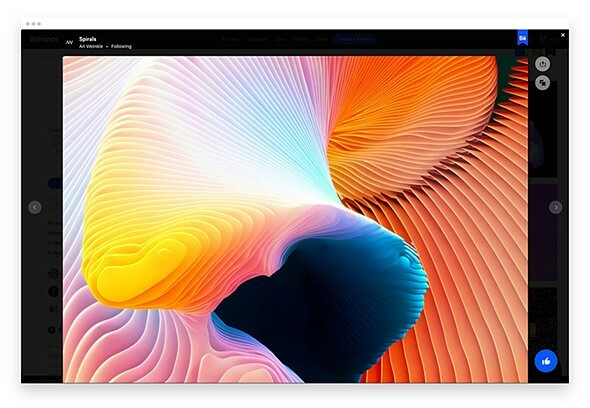 Adobe is starting the year with updates to its online portfolio platform Behance. The update announcement covers a redesign of users’ profile page, an update to the project page and the addition of customizable banners. Over the years, Behance has served as a source of creative inspiration and artistic discovery. However, with the proliferation of the online space with several easy-to-use and drag-and-drop websites, the forceful pull of the online platform began to dwindle. But Adobe is set to rekindle the flames with the various update implementations going on. Some were released last year, and we are already beginning this year with some more. With these latest updates on both its profile and project pages, the company is allowing more flexibility. The changes will make the social creative platform more attractive and better support collaboration. Also, it will give users more control to customize their work for stronger impact. Since its inception, Behance has functioned as a pool of some of the best creative works from around the globe. The online portfolio platform continues to grow as an inspirational resource for thousands in the creative community. It also serves as a connection point for upcoming artists looking to showcase their works and employers searching for new talents. 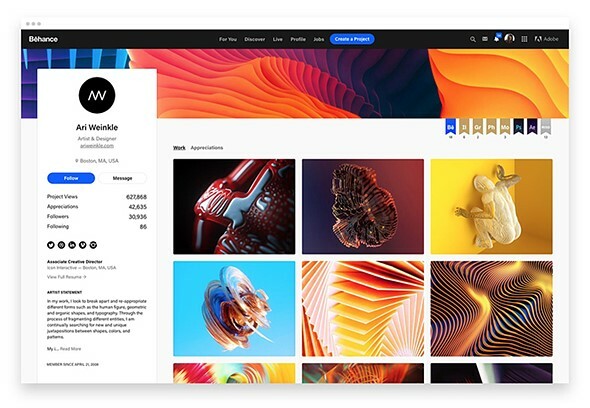 The recent Behance updates introduce the use of larger cover images which enables artists to better highlight their top creative works. The new profile page now has a cleaner and smoother layout. It comes with an enhanced sidebar with various statistics on display. Also, users can now find links to other social networks plus any accompanying bio from the sidebar. It is now easier to get important information on a project. Simply hover over any project of interest and the important details will appear on top of the thumbnail. The latest update introduces the use of custom banner images on their profile page. This feature will enable users to add a touch of personality to their profile and express their creativity. The new banner image feature accepts a design element similar to those seen on other social media sites like Facebook and Twitter. To use this new image banner feature, simply select any image you wish to use as a banner. Then zoom in or arrange it the way you want it to appear on the banner frame. And you’re set. Note, however, that the optimal size is 3200 x 410 pixels. See the full guide on banner images from Behance for additional information. The latest update brings a completely new project page which displays the various available projects. Important details of each project, as well as information on the creator, are found at the top and bottom of the page. Also, on the page are several buttons to promote collaboration and communication including Share, Save, Follow and Appreciate buttons. Users can now view images on full screen and position media both front and center similar to the effect on Lightbox. To the right of the image are Share, Save, Follow and Appreciate buttons. 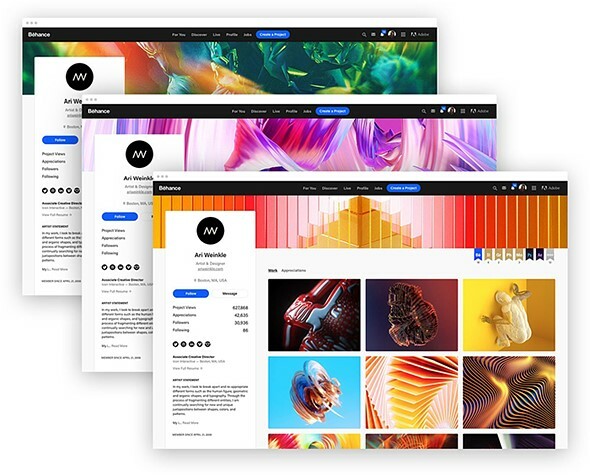 Since acquiring Behance in December 2012, Adobe has long integrated the online portfolio platform into its various Creative Cloud applications.